30. וְאֶת שַׁבְּתוֹתַי תִּשְׁמֹרוּ. זֶה שָׁקוּל לָזֶה, וְהַכֹּל כְּאֶחָד נִשְׁקָל בְּמִשְׁקָל אֶחָד, שֶׁכָּתוּב (שמות לה) וּשְׁמַרְתֶּם אֶת הַשַּׁבָּת כִּי קֹדֶשׁ הִיא לָכֶם, וְכָתוּב (ויקרא כו) זָכוֹר אֶת יוֹם הַשַּׁבָּת לְקַדְּשׁוֹ. אֶלָּא אֶחָד לָאָב, וְאֶחָד לָאֵם. כָּתוּב כָּאן, אִישׁ אִמּוֹ וְאָבִיו תִּירָאוּ וְאֶת שַׁבְּתוֹתַי תִּשְׁמֹרוּ. וְכָתוּב שָׁם, אֶת שַׁבְּתוֹתַי תִּשְׁמֹרוּ וּמִקְדָּשִׁי תִּירָאוּ. מַהוּ מִקְדָּשִׁי? כְּמַשְׁמָעוֹ. עוֹד מִקְדָּשִׁי – אֵלּוּ אוֹתָם שֶׁמְּקַדְּשִׁים עַצְמָם בְּאוֹתָהּ שָׁעָה. כְּמוֹ זֶה, (יחזקאל ט) וּמִמִּקְדָּשִׁי תָּחֵלּוּ. אַל תִּקְרֵי מִמִּקְדָּשִׁי אֶלָּא מִמְּקֻדָּשַׁי. מַה לְמַעְלָה מִמְּקֻדָּשַׁי, אַף כָּאן מִמְּקֻדָּשַׁי, שֶׁהֵם הָאָב וְהָאֵם. ל/ ב אִישׁ אִמּוֹ וְאָבִיו תִּירָאוּ. רַבִּי שִׁמְעוֹן אָמַר, כָּתוּב (דברים ד) וְאַתֶּם הַדְּבֵקִים בַּה’ וְגוֹ’. אַשְׁרֵיהֶם יִשְׂרָאֵל שֶׁנִּדְבָּקִים בּוֹ בַּקָּדוֹשׁ בָּרוּךְ הוּא, (הֵם וְלֹא אֻמּוֹת עוֹבְדֵי כוֹכָבִים וּמַזָּלוֹת) וּמִשּׁוּם שֶׁנִּדְבָּקִים בּוֹ בַּקָּדוֹשׁ בָּרוּךְ הוּא, כֻּלָּם נִדְבָּקִים כְּאֶחָד זֶה עִם זֶה. 31. בֹּא רְאֵה, בְּשָׁעָה שֶׁאָדָם מְקַדֵּשׁ לְמַטָּה, כְּמוֹ הַחֲבֵרִים שֶׁמְּקַדְּשִׁים אֶת עַצְמָם מִשַּׁבָּת לְשַׁבָּת, בְּשָׁעָה שֶׁהַזִּוּוּג הָעֶלְיוֹן נִמְצָא, שֶׁהֲרֵי בְּאוֹתָהּ הַשָּׁעָה נִמְצָא הָרָצוֹן וְהַבְּרָכָה מִזְדַּמֶּנֶת, אָז כֻּלָּם נִדְבָּקִים כְּאֶחָד – הַנֶּפֶשׁ שֶׁל שַׁבָּת, וְהַגּוּף שֶׁמִּזְדַּמֵּן בְּשַׁבָּת. וְעַל זֶה כָּתוּב אִישׁ אִמּוֹ וְאָבִיו תִּירָאוּ, שֶׁהֵם זִוּוּג אֶחָד בְּגוּף בְּאוֹתָהּ הַשָּׁעָה לְהִתְקַדֵּשׁ. The Zohar continues the discussion about the holiness of the unification between the light and vessel, man and woman, especially on Shabbat as we described in previous DZ. For this Zohar I decided to share with you the story about the holy unification and birth of Rabbi Shimon. Rabbi Shimon was born about fifty years after the destruction of the second Holy Temple. His father, Yochai was from the tribe of Yehuda, one of the greats of his generation, rich and respectable by all. 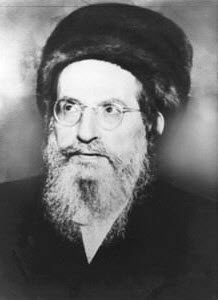 His wife, Sarah was from the line of spiritual leaders and descendant of Rabbi Hillel, the elder. For many years Sarah was barren and couldn’t have children. Yochai knew that he should have a child and told his wife that he is thinking of divorcing her to have the merit of a righteous child. Sarah started fasting, giving charity, tzedakah and praying to God with cries and tears to give her a child and have continuation for the seed of Yochai. God listened to her prayers. On the night of Rosh Hashanah, Yochai saw himself in a dream standing in a huge forest with many thousands of trees around him. Some carried fruits and some were dry. He was leaning against a dry tree. Suddenly he saw a great man with awe inspiring appearance. He was using a large water vessel to water some of the dry trees but not all the dry ones. When he came to the tree Yochai was leaning on he took from his chest a small plate with water and watered the tree. The little water overflew around the tree that immediately grew, flourished, and brought fruits. הַלְלוּ-יָהּ.” “He makes the barren woman abide in the house as a joyful mother of children. Praise YHVH!”. This verse is also from the first part of the Halel that we recite every Rosh Chodesh and holidays. With joy he told the dream to his wife and explained that the interpretation is simple: that the forest was the aspect of the world; the trees were the women, some bore fruits and some were barren. In Rosh Hashanah some of the barren women are given the proper vessel for children. She was the tree he was leaning on. The water was from the spring of blessings to deliver righteous and wise children. Just one thing was left to be understood, said Yochai, and that was why all the trees were watered from the big water vessel and her tree from the small plate. His wife, Sarah, asked him to go to Rabbi Akiva to tell the dream and ask for his interpretation. After Rosh Hashanah ended they went both to the Holy Rabbi Akiva and Yochai told him the dream. Rabbi Akiva interpreted the dream as Yochai did but he also explained the small plate. Because of the many prayers to God and her tears Sarah merited to have her vessel changed from barren to a mother. The small plate contained her tears gathered above to make her vessel fruitful and deliver children. Rabbi Akiva turned to Sarah and told her “This year you will be pregnant and deliver a child that will bring light to all Israel with his wisdom and actions”. Yochai and Sarah were very happy for the words of the great Rabbi Akiva and went back home. Sarah got pregnant and delivered a child on the holiday of Shavuot, a day that we celebrate receiving the gift of the Torah. Their house was filled with the light that was surrounded him. Everyone knew that he was destined to reveal great light for the nation of Israel. His parents made a great feast for his circumcision and named him Shimon שמעון because God listened (same root as ‘listen’, שמע) to the prayers and tears of the mother. His parents raised him in holiness and purity and kept him away from all impurities. When he started talking they taught him sacred words. At age five he was taken to the school of the great sage, Rabban Gamliel. As a child he was known for his wise questions. Daily Zohar # 1496 - Kedoshim - How to know your wife? Daily Zohar # 1498 - Emor - Do your time!